Boynton Beach Historical Society » Schools » First Day of School! 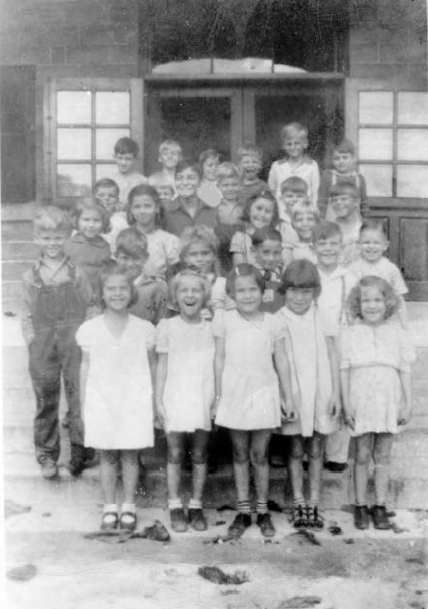 As another school year welcomes its students, the 1939 Boynton first graders below walked into a very different school – blackboards that were black, no air-conditioning, no back-packs, no cafeteria. When was the last time you saw a little boy wearing overalls? The wooden stairs at the 1913 Schoolhouse (celebrating its centennial this year) still bear the marks of spurs from the boots of the little boys. If most of these kids were six years of age in 1939, that means each will be turning 80 years old this year, if they still grace this earth. If you know anyone in this picture, please email us at boyntonhistory@gmail.com. 4 Responses to First Day of School! What a wonderful post for the first day of school in PB county. Love seeing the first graders from 1939. Thank you for the comment on the blog, Lynda! The post made many people smile this week.